In the previous article, we have learned how to add a JDBC database driver module into Wildfly, and how to configure a datasource to use hte driver. 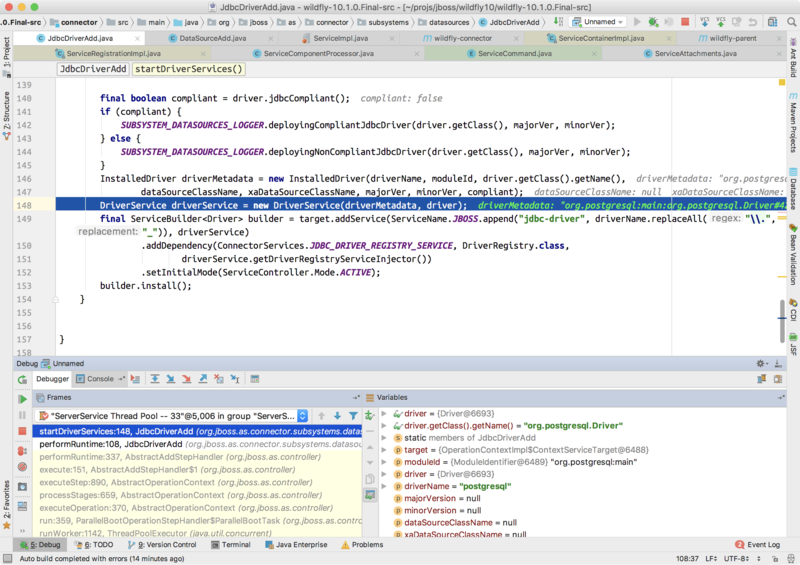 In this article, let’s see the JDBC driver loading process in Wildfly. From the above diagram, we can find out two things: Firstly the method will try to fetch multiple values defined by the users. For example, there are DRIVER_CLASS_NAME and DRIVER_XA_DATASOURCE_CLASS_NAME that users can set in the server configuration file. Another thing we can see from the above diagram is that the method will try to find the JDBC driver class automatically if driverClass is null, and it will invoke the loadService(Driver.class) method for this task. 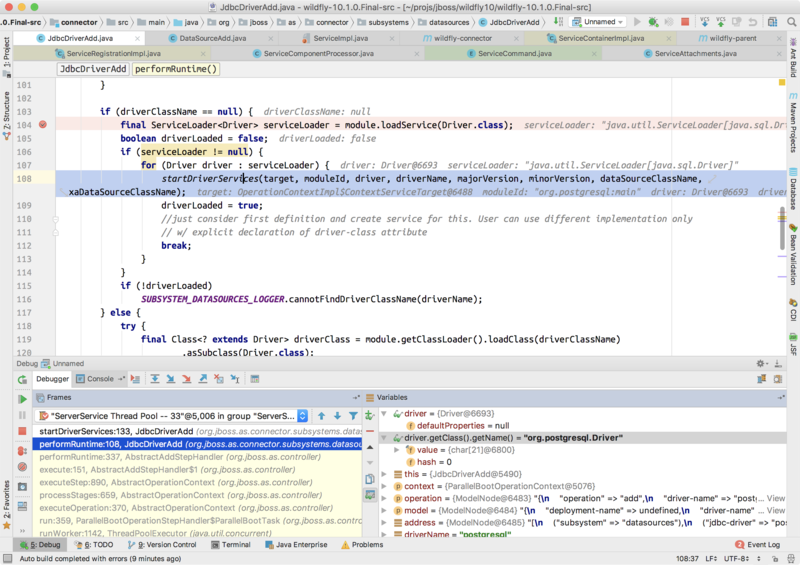 From the above code, we can see the module.loadService(Driver.class) method will try to find the class that implements the Driver.class interface from the module. If it finds the driver classes, it will install them one by one by using the startDriverServices(...) method. The above screenshot shows that during the Wildfly server startup process, it will use the JdbcDriverAdd to load the drivers defined in configuration file. Because we didn’t define the driver-class in standalone.xml, so it goes into the logic to find the driver class automatically. 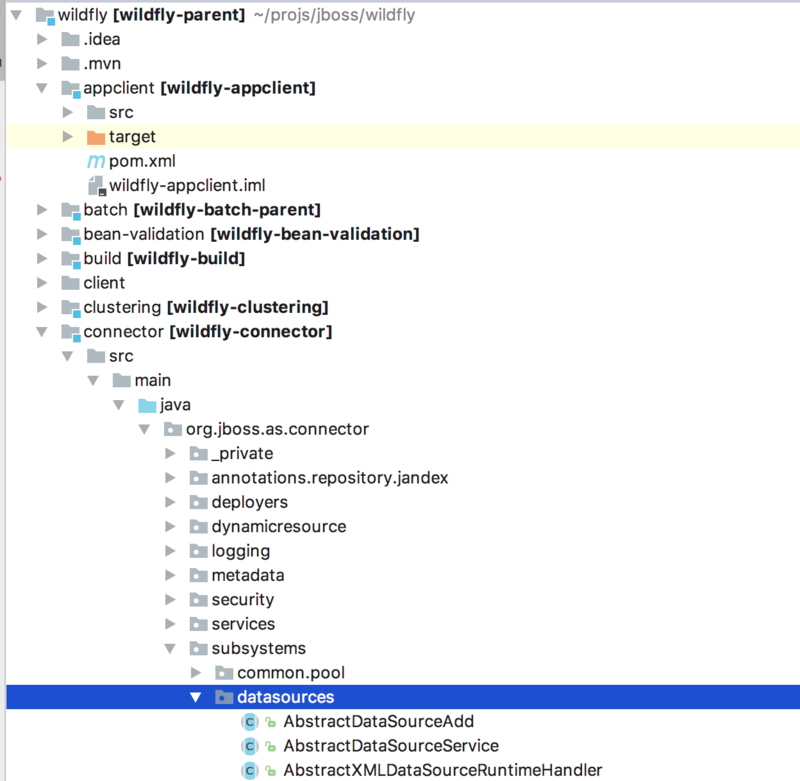 From the above screenshot, we can see Wildfly has found the PostgreSQL JDBC driver, which is org.postgresql.Driver. The above articles will give you an introduction to the Wildfly micro container design. 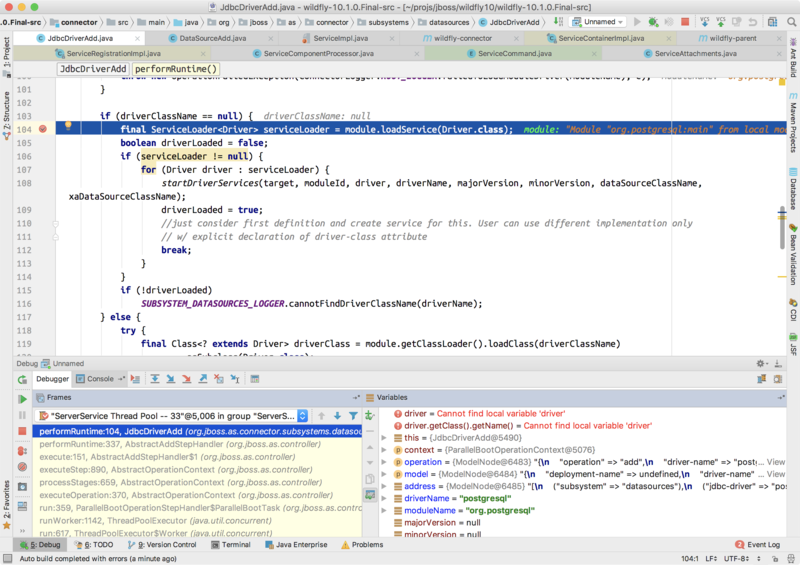 In this article, we have checked how does Wildfly load the JDBC driver. In next article, I will introduce the Wildfly datasource loading process.